There are two more Cream Latte Cleansers, one with Green Tea Latte and one with Strawberry Latte. Honestly, I’d love to try all of them! I decided to buy the Chocolate cleanser in the end, because the description says, that it is moisturizing for dry skin. 1. 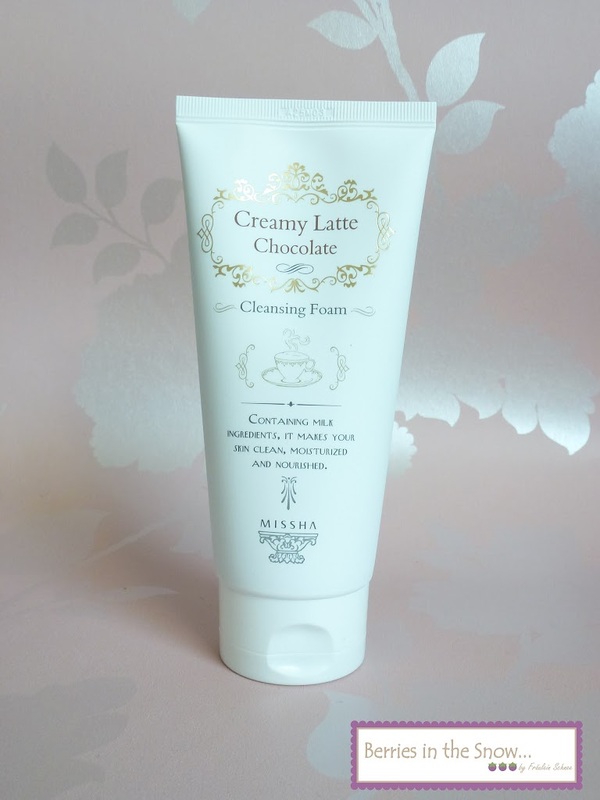 Cleansing foam that contains chocolate latte that provides vitality and nutrition to the tired, dry skin. 2. The chocolate latte provides abundant nutrition which prevents skin aging and loss of vitality. – Chocolate contains polyphenol that vitalizes the skin. – Minerals, protein and daily fat moisturizes and soothes the dry skin. 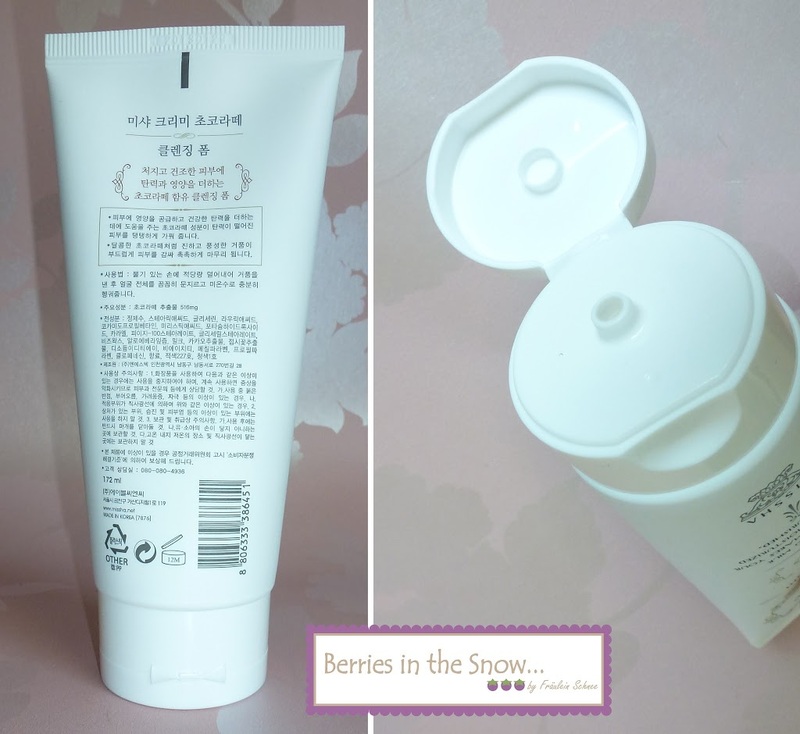 The product description on the tube is Korean only. The package design is simple but cute. I like the white tube with the ornaments and the little cup on the front. 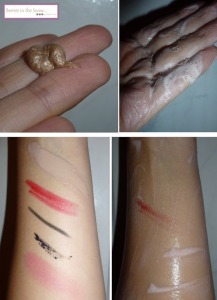 The foam cleanser comes in a tube, a pump would have been easier in application, but this is okay, too. A cleanser that smells like chocolate :O I’m not a massive chocolate consumer, but I love the way it smells hehe. I didn’t check the pH, but it was just the way it felt on my skin, it didn’t feel drying or irritating, that’s what I meant with ‘mild’ :) Thanks for commenting! Someone else reviewed this recently too and tempted me. I love scented cleansers. More things need to be chocolate scented. Lol. Aber ich muss erstmal meine Seifenvorräte dezimieren. I’m a sucker for products that smell like sweet foods. I wish Missha products were more easily available, meaning in stores by me!